10th Grade - Those players that are 17 and younger AND in the 10th grade and lower -plays 11v11. 8th Grade - Those players that are 15 and younger AND in the 8th grade and lower - plays 11v11. 6th Grade - Those players that are 13 and younger AND in the 6th grade and lower - plays 9v9. 5th Grade - Those players that are 12 and younger AND in the 5th grade and lower - plays 9v9. 4th Grade - Those players that are 11 and younger AND in the 4th grade and lower - plays 7v7. 3rd Grade - Those players that are 10 and younger AND in the 3rd grade - plays 7v7. As defined by USSF and age group denoted by a number and the phrase and younger is any child born during the calendar year that many years from the year of the end of the competition. For example for a competition that ends in Spring of 2017 an 11 and younger eligible player would be born during calendar year 2006 (2017 -11). Mass Youth Soccer Association requires that the player both be born during the calendar year specified (or later years) and be in the maximum grade or lower. Home schooled children may play in the correct birth year without a grade restriction. Players who chose to play within their current calendar year peers but are in a higher grade may play in the age group that includes their calendar year birth year with an automatic grade waiver in all divisions. Application through the BAYS website is required. Older Player Playing with Classmates: Players who are born on a date that would typically place them in a higher grade may play with their actual grade on any division team. If they were born the year previous to the age group limit, they may apply for a discretionary waiver from the Competition Committee. 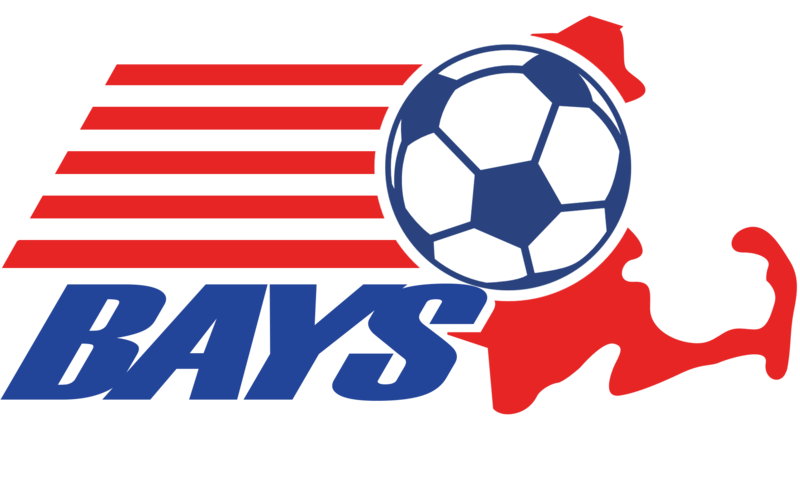 Nine and younger players are not permitted on BAYS teams unless in the third grade. They may play in Grade 3 (or Grade 4 if the club does not offer Grade 3) only.